Dust falls from the cracks in the walls and ceiling as the floor shudders, sending gasps and small screams echoing off the temporary tin roofs. The teacher tries to calm the class as children cling to memories of destruction in their no-so-distant past. It takes 15 minutes or more to calm the students. The teacher tries to reassure them. “It’s only an aftershock. They are normal and we are safe.” But the truth is that they are not safe. Many schools in the Nuwakot district continue holding classes in damaged buildings. They have to. The resources are just not adequate enough to house and protect the children from the elements during the monsoon and winter months ahead. Miyamoto International Nepal engineers recently visited this hard-hit area. 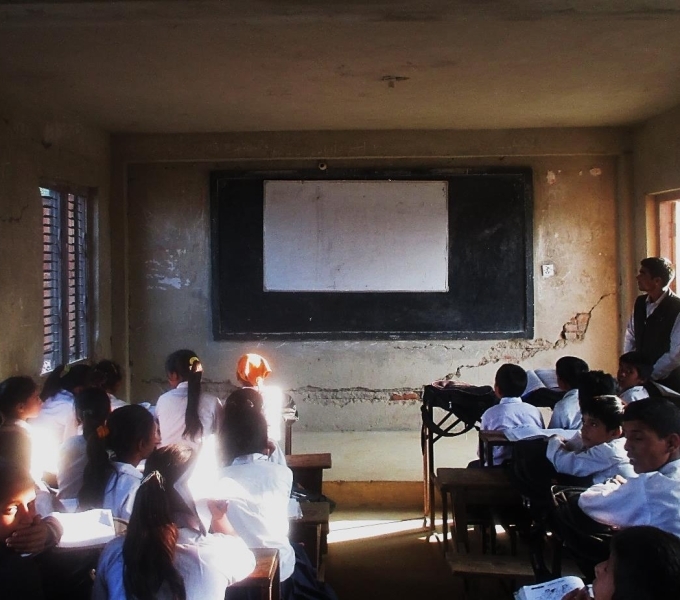 In partnership with All Hands Volunteers, Miyamoto provided damage assessments and overall retrofit schemes for more than 15 buildings from four different schools: Jalpa Yuva Primary School, Bachhchhala and Kalika secondary schools and Kalyani Devi Higher Secondary School. Prior to the earthquakes, the Nuwakot district was described in travel journals are a miniature Shangri-La floating somewhere between the 17th and 21st centuries. It’s a four-hour bus ride from Kathmandu. Each school experienced different types of damage and requires customized retrofitting, and, in some cases, demolition and rebuilding. These findings are not at all surprising. As earthquake engineers working in countries with high seismic risk, we’ve learned that school buildings are among the poorest performers. This doesn’t need to be the case. School buildings fail because when they were constructed without proper engineering practices for safe school designs. In the absence of a quality control processes and qualified engineers to supervise the correct implementation of the plans, it is easy to see why safe design and quality of material don’t meets adequate standards. 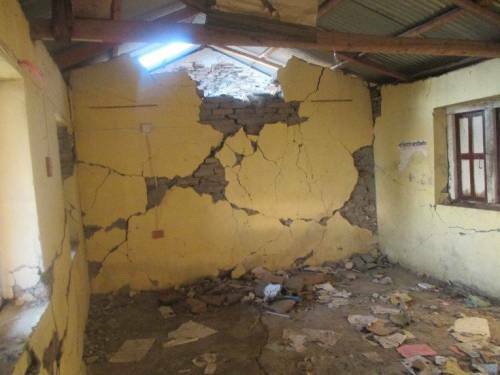 The cost for repairing and rebuilding these schools is relatively small by US standards. However, the strengthening methods will greatly improve life safety and ensure that these schools will be a safer place for these children to study and grow. Repairing and strengthening for each school totals less than US $23,000 each. In some cases, just over US $10,000 can complete the required repairs to ensure these children are protected. 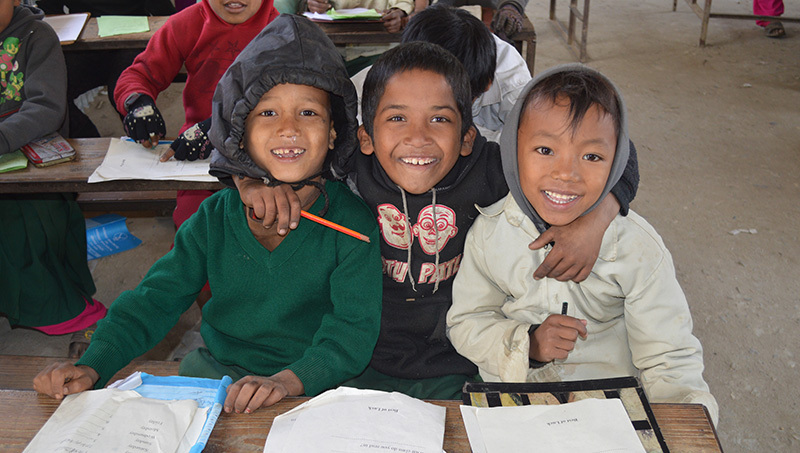 Please help us rebuild schools in Nepal. The need is tremendous. This winter children are studying in the cold. Temperatures are often in the minuses and classes are being held in makeshift structures and tents in school courtyards. These school buildings can be repaired and structures strengthened for less than the cost of a new car. Let’s not repeat history. Let’s make a difference one school at a time. Donate now.